With awe inspiring views of Mount Grant and Walker Lake, Hawthorne is nestled in as a historic landmark of military pride and sentimental gardening qualities, which yields a true “Guns and Roses” opportunity to visit. 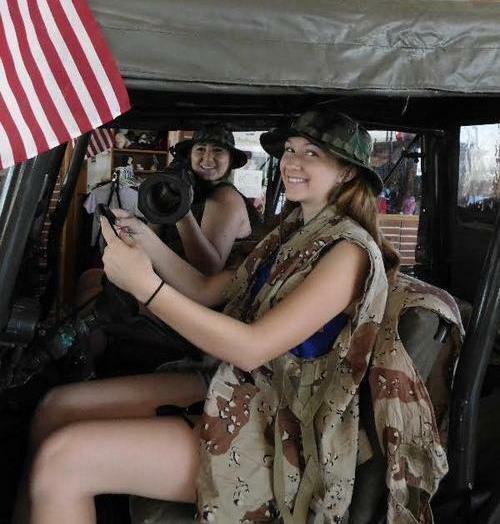 Over the years, the Hawthorne Army Depot boasted a medium-sized population of military families eager to plant their roots and become community members. The local military base began it’s active history in 1930 as an ammunition storage and assembly-line bomb making facility, but as time marched forward the employee base gradually declined as the fashion of wars changed, which altered many current weaponry pieces required in the latest warfare. Today, as the base’s contracted employees concentrate a large part of their time on ammunition de-mil efforts, while balancing the storage of out-of-date items and renovation of salvaged pieces, the community spirit has retained it’s positive momentum. This is seen best in the welcoming Garden Club’s flower pots along the main street of Hawthorne and at the predominant Ordnance Museum, located just two blocks east of Highway 95. The Veteran’s Park flanks the corner with tributes: a large Naval warfare piece and creative bomb-salvaged windmills turning in the breezes. On the north side of E Street, large windows encase the Ordnance Museum’s vast collection of military items, which are easily seen from the street. A Patton Tank welcomes visitors for photo ops, along with the outdoor display of original military bombs. Outdoor photo opportunities abound, drawing visitors to stop on a daily basis. With winter hours of 10 to 3 Monday through Friday and Saturday from 10 to 2, a volunteer greets you with a guest book inside this unique museum. 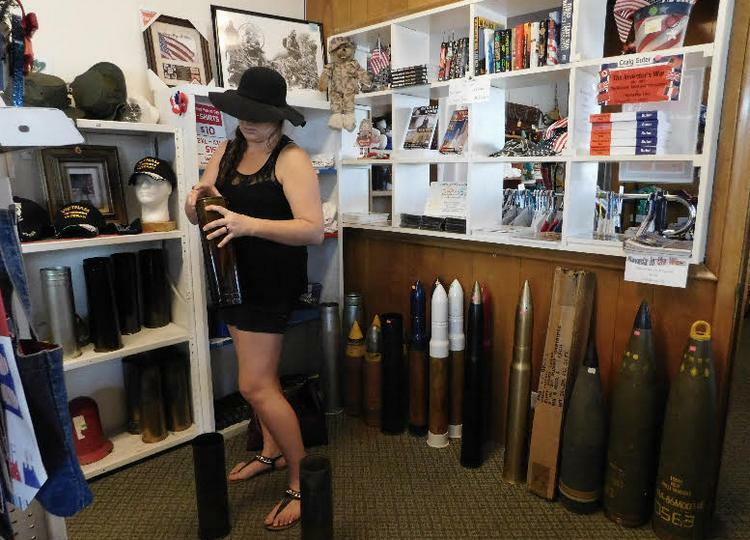 A roomy Ordnance Gift Shop offers the chance to purchase one-of-a-kind articles, such as bomb canisters, bullet keychains, cheaply priced ammo boxes, military overages, and handcrafted items which help support the museum’s overhead. It’s a nice seasonal shopping spot for the Christmas Season. Looking around, there is an overwhelming awe, as one can see intricate historic war displays and handle items once used in warfare. It is a place for the young to experience the touch of history, as well as for the old to reminisce about the many eras of our country’s strides. Visitors freely walk through the many rooms, open to photograph anything and are encouraged to enjoy the visit with any questions they may have. The museum remains a constant work in progress, always expanding as new items are curated. Clothing and various donated memorabilia are lined up behind eight-foot glass cases, with intricate collectables one may never see anywhere else. An upcoming enclosed aircraft building is slated as their next large project, especially to house a UH-1 Huey Helicopter that was obtained and transported in two recent trips from the White Sands, New Mexico missile range. Pieces are shared nationwide, with some duplicate items given to the Smithsonian Museum in Washington D.C. 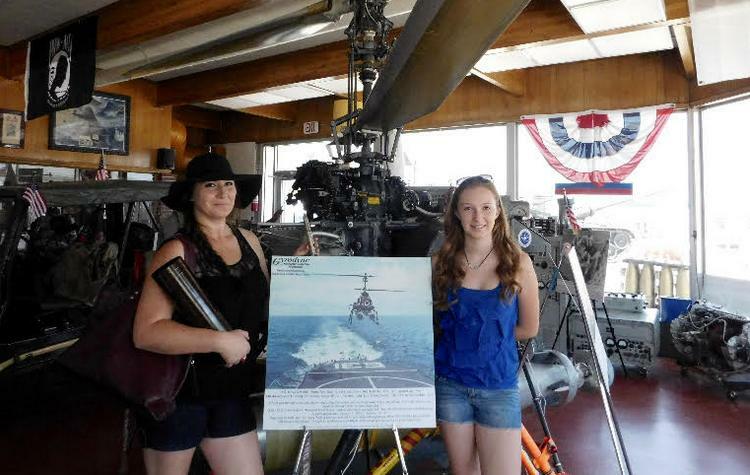 These priceless artifacts of torpedoes, ammunition, guns, bombs, a 1960’s flight drone, transportation items, and military bunkhouse pieces hold an Americana value enjoyed by people throughout the world who have visited Hawthorne’s Ordnance Museum.